Certain foods just put you in a good mood. Tacos, for example. The simple combination of corn tortillas, savory fillings, and zingy salsa never fails to make my day. Whether it’s grilled veggies, rich carnitas, or spicy shrimp, my favorite way to eat them is taco style. I visited Wiseman, partner in The Farm Cooking School, in Titusville, New Jersey (and former Fine Cooking and Gourmet magazine food editor), on a perfect summer morning to attend one of the school’s regular classes on Mexican cooking. 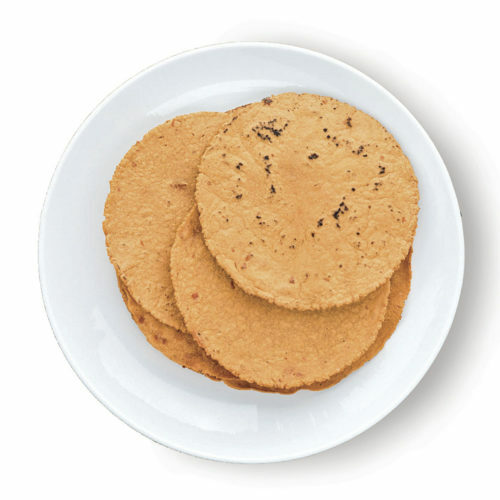 I was delighted to discover how easy making tortillas can be. We took turns placing the masa dough just so in the press, and then cooking the tortillas on a comal, the traditional Mexican cast-iron disk used as a griddle. (“A regular griddle works just as well,” Wiseman said.) 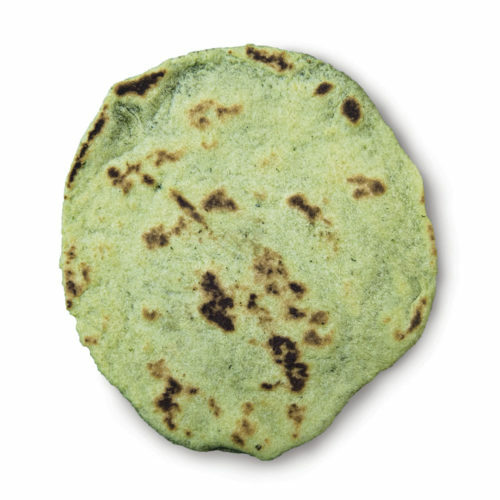 The first time we turned our tortillas on the griddle, some puffed up perfectly, and others were a bit too thin and delicate. 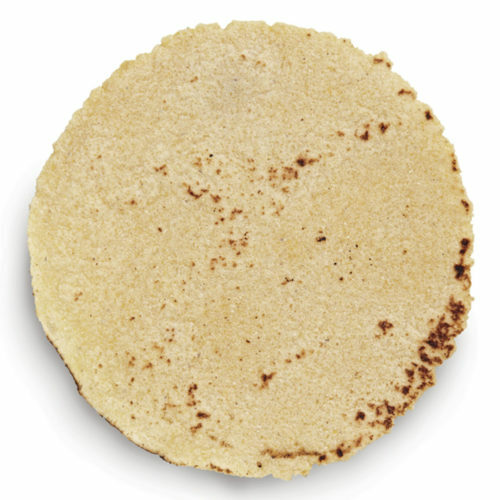 Wiseman encouraged another try, and another, and gradually, we fell into a rhythm and created stacks of perfect ready-to-fill corn tortillas. We placed them in the oven to keep warm. 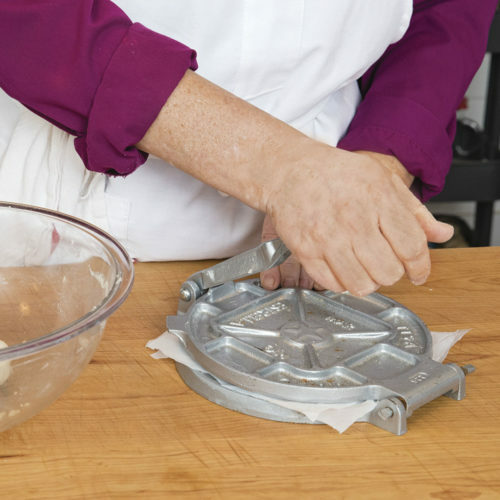 Put a small ball of dough between parchment squares or plastic squares or circles (cut from thin plastic storage bags) in the tortilla press. Flatten the corn tortilla in the press. 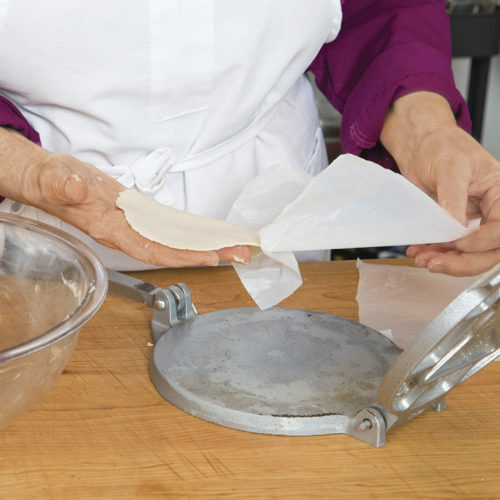 Remove the top piece of parchment. 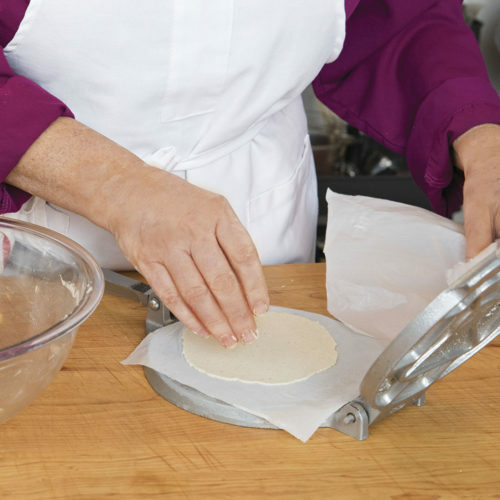 Drape about one-third of the tortilla over the side of your palm and remove the second piece of parchment. 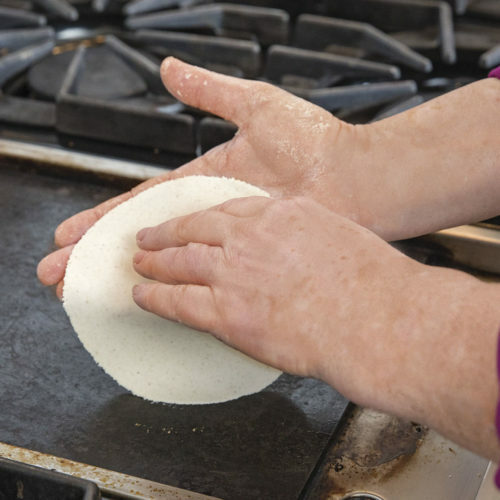 Gently lay the tortilla on the hot griddle, moving your hand backward and turning your palm to release the tortilla as you do so. 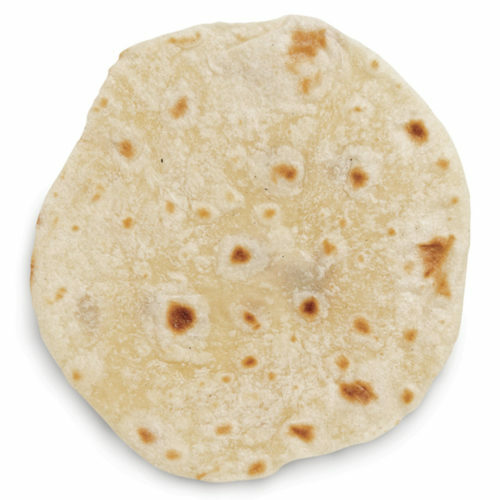 Next, Wiseman taught the group how to roll flour tortillas into thin 6-inch rounds and cook them on the griddle just until pale brown spots appear on the underside. Ian Knauer is Shelley Wiseman’s partner in the Farm Cooking School. 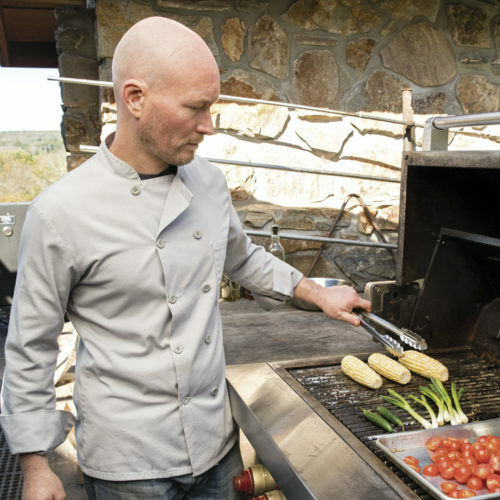 While the tortillas cooked, Wiseman’s partner in the school, Ian Knauer, a former Gourmet colleague, was outdoors playing with fire: grilling chicken and vegetables for taco fillings and also baking pizzas in a fieldstone wood-fired oven. The two chefs are a bit of a culinary odd couple: Wiseman is a French-trained cook who lived and worked in Mexico for many years; Knauer is a hands-on-the-land grower and experimenter. And that, they say, is why their collaboration works. They draw from their diverse strengths and challenge each other to think differently. 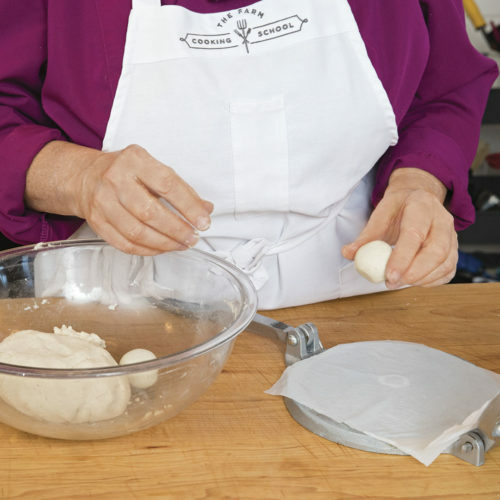 Their classes prove it, running the gamut from knife skills and foundation courses in stewing and breadmaking to Italian classics and French brunch. Guest chefs offer classes on myriad topics—Turkish or Malaysian cooking, a series on meat (from butchering to cooking game), and another on fine wine. 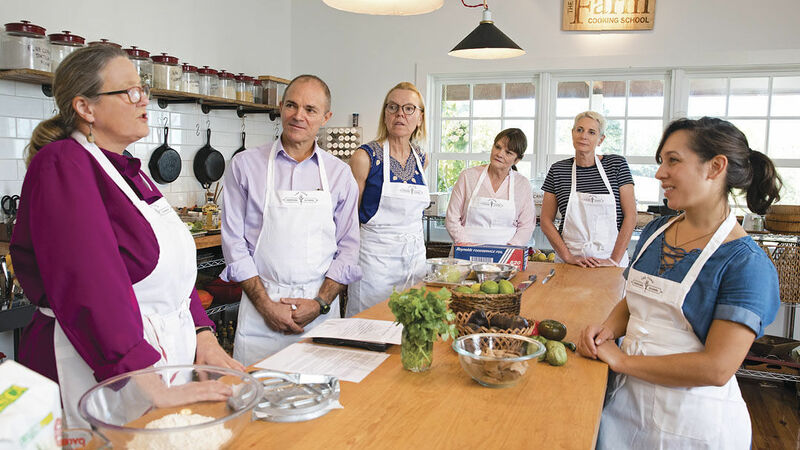 The Farm Cooking School is in the Delaware Valley, just down the road from Lambertville and across the river from Bucks County, Pennsylvania, which is renowned for its rich agricultural land. In recent years, more young farmers than ever have found a welcome in the area, meeting the needs of cooks like Wiseman and Knauer. In fact, they have a built-in source of fresh produce for their school, because it is set amid the fields of Malaika Spencer’s Roots to River Farm, which grows organic herbs and vegetables. On the day of our class, plump tomatoes and tomatillos and ripe chiles from Spencer’s farm awaited us. They’d been picked that morning, and we used use them in the raw and cooked salsas that we learned to prepare. In addition to grilled chicken and sweet onion, we made taco fillings of deep-fried shrimp and avocado (a surprising and delicious treatment); and grilled corn with scallions and cilantro. Our tortillas, wrapped in cloth napkins and tucked warmly inside fuchsia and orange baskets, were ready and waiting to be filled. After every class at The Farm, students share a meal (get the complete menu here) at the long table on the terrace where the air is fragranced by the herbs grown nearby. Wiseman showed us how to mix margaritas using tart tamarind pulp and reposado tequila, and to rim our glasses with a chile-salt mixture. Then, we all raised our glasses and toasted our newfound tortilla prowess. 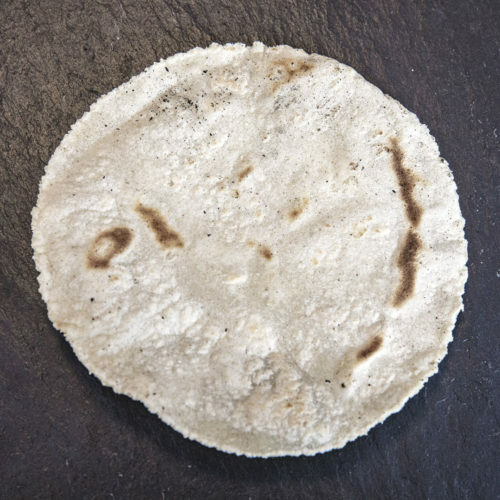 "Required" is a big word, but if you're making corn tortillas starting with masa harina it is in fact important to rest the dough; it's quite slow to hydrate thotoughly.